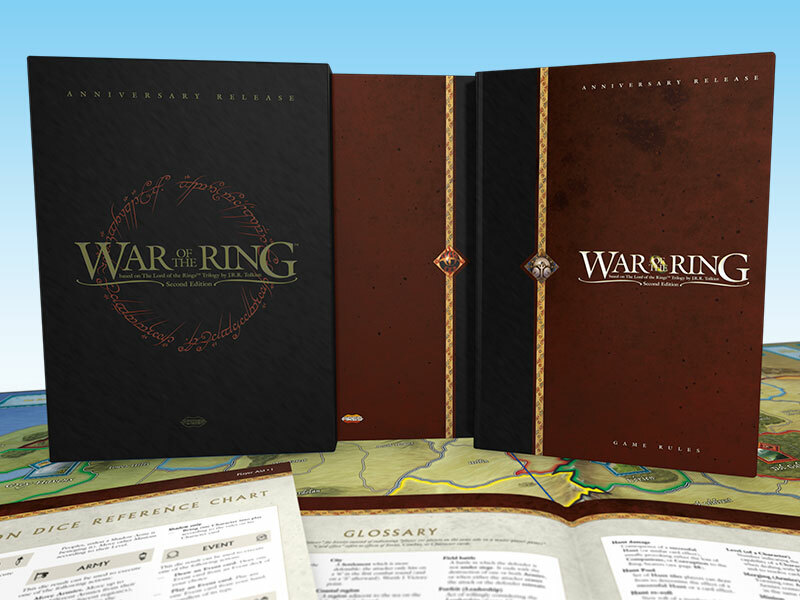 Earlier this year, Ares Games did their release for the War of the Ring 2nd Edition Anniversary Release. It came with a lot of really cool stuff, including over 200 pre-painted figures. It also had a pretty hefty price tag. 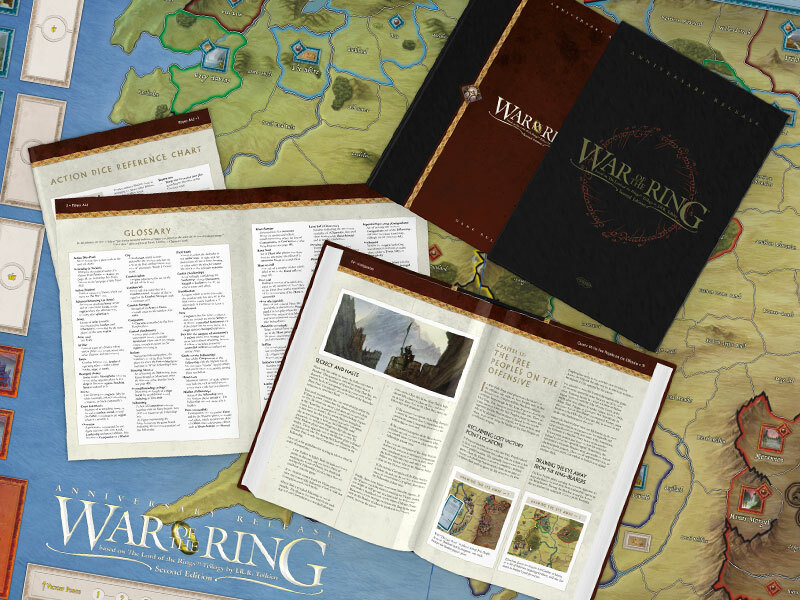 So, what if you wanted the special rulebook, strategy guide, and oversized game board? Well, you can order them now for a limited time. The game board is actually two boards, each 64x88cm in size. The rules are a deluxe printing that comes out to 56 pages. The strategy guide is 104 pages written by Kristofer Bengtsson. The books are hardcover and come in their own slipcase. There's only a limited time to order therese (order being taken until October 5th). So if you want yours, you'd better get your name on the list.